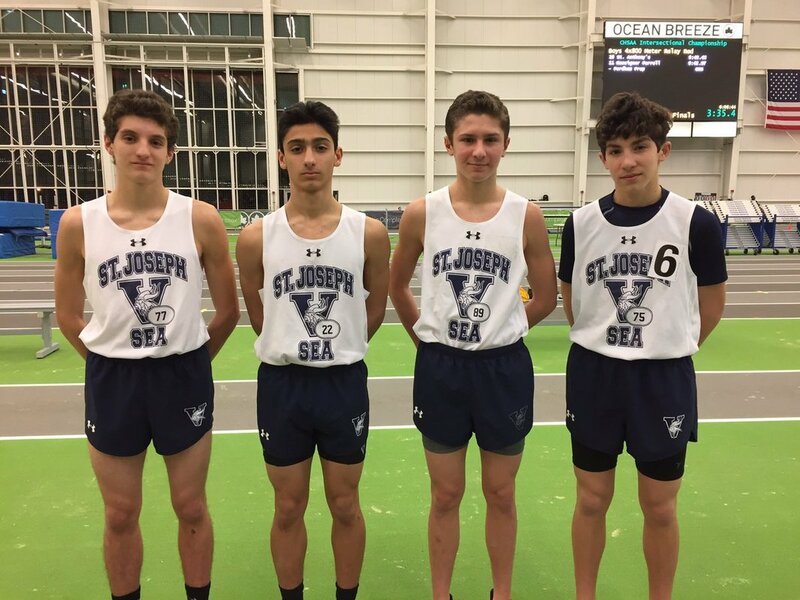 The Soph 4x800 record gets crushed by almost 8 seconds as the foursome of Steven Anzalone, Nick Masters, Hudson Scanni & Dom Palermo run 8:32.66 FAT. The previous school record was 8:40.14 FAT held by last year's seniors. James Internicola breaks 24 seconds. This is the last meet of the season for most with only the Ocean Breeze Grand Prix remaining. Ran 8:40.14 FAT - Finished in 7:54.08 FAT, 2nd at Millrose, Top 10 NYS Ran 8:32.66 FAT, broke the Soph Record by 8 secs, Where will they finish? Rodney 25.6 Aguillar 43.18 FAT Lafferty 19'-5"